Spray gun users are often on the lookout for easier ways to remove polyurea and dissolve cured spray foam from their equipment and many have tried all kinds of methods but obtained less than satisfactory results. Our proprietary formula-based spray foam solvent, SPF-6, makes polyurea and spray foam gun cleaning easier and quicker and doesn't require the need for heat. It's also reusable. Just filter and use again. It melts away polyurea and foam in as quick as half an hour. When you're done, just rinse your gun parts in Xylene or MEK for solvent removal. This is the best foam and polyurea solvent on the market. For removal of cured ISO, try our ISO REMOVE™. 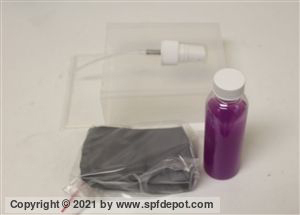 Use our spray foam Clay Bar kit for removal of over-spray from vehicle surfaces. Spray foam and synthetic polyurea are popular materials used for building insulation and protecting finished surfaces but it’s incredibly difficult to remove the cured material. 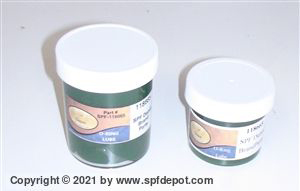 Spray foam solvent, made by SPF Depot, makes spray foam cleanup a snap but you can only buy the ISO solvent from us. If you’re looking for a better product to clean up spray foam overspray and to clean spray foam gun parts, look for further. Dissolve cured spray foam/polyurea from your gun parts with a 30 minute soak, then wipe the melted ISO away. Be careful not to use on plastic parts including safety face shields. 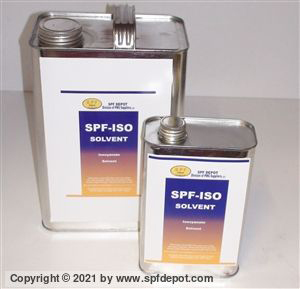 Haven’t used our ISO solvent yet? Try the Solvent Sample Set today! 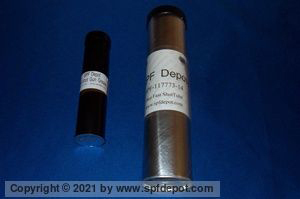 ISO46 Throat Seal Lube for pump shaft. 16 ounce bottle pictured. 1 gallon can also available. 1 Gallon cleans over 200 guns. 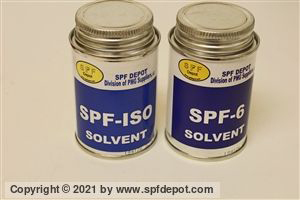 SPF-6 Solvent melts the cured product, so that's what is used to clean your guns. DO NOT USE ON PLASTICS. This stuff melted my plastic jar, so don't put this on your face shields. Available ONLY from SPF Depot. ISO REMOVE™ Removes Cured ISO better than anything I EVER used. Use SPF-6 for removal of foam/poly. Detail your truck today with this kit.